Though I’m not sure pubescent girls would characterize bust development as “gradual and painless,” I’ve never encountered such an evocative description of spring as Betty MacDonald‘s in her 1945 classic book The Egg and I. If you are from Washington State, you’ve likely heard of MacDonald and of this very funny book, which describes her experiences living on a small chicken farm on the Olympic Peninsula with no running water and no electricity. 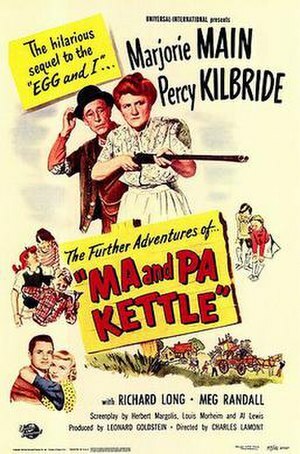 Ma and Pa Kettle (modeled after MacDonald’s slacker neighbors) originated in The Egg and I, and were featured in its 1947 film adaptation, starring Fred McMurray and Claudette Colbert. What I didn’t realize until reading The Egg and I, is that Betty MacDonald was a trailblazer in the art of food writing. 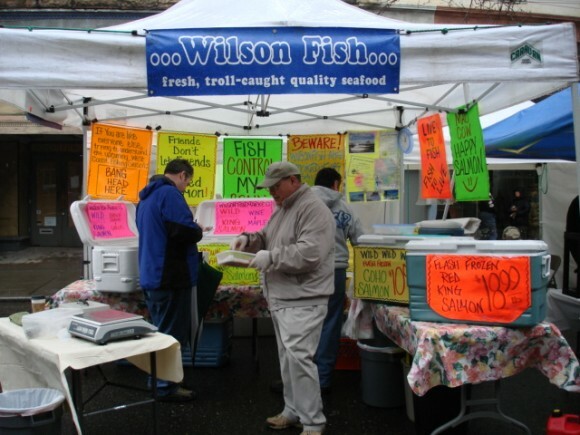 “..there was so much of everything and it was so inexpensive and so easy to get that it was inevitable that we should expect to eat like kings,” she writes of Pacific Northwest bounty, such as fresh field mushrooms, clams, oysters, steelhead salmon and Dungeness Crab “We’d go on regular crab sprees –eat cracked crab with homemade mayonnaise well-flavored with garlic and Worcestershire, until it ran out of our ears. Have deviled crab, crab Louis and crab claws sauteed in butter and served with Tartar sauce.” At the time, she notes, she could buy a gunnysack full of Dungeness crabs for $1. Sadly, she was not a fan of geoduck. 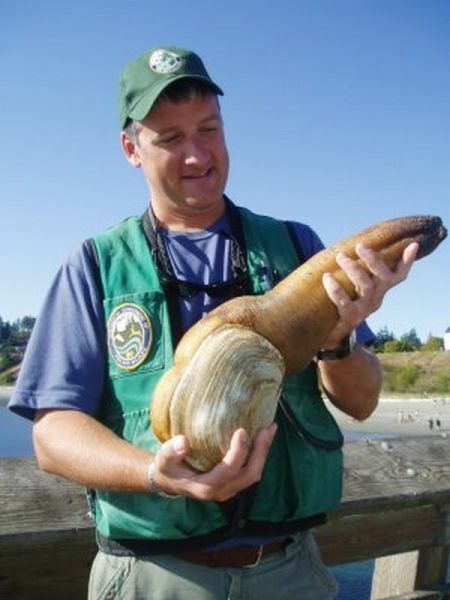 It's the largest burrowing clam in the world, and a local favorite. 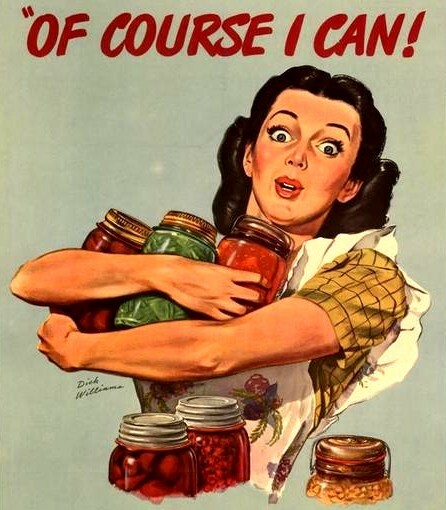 Still, all that natural bounty from the garden and berry bushes could be oppressive come canning season. 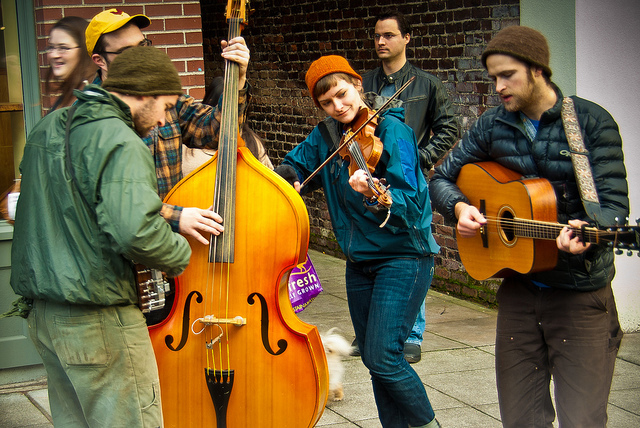 MacDonald describes herself as “lyrical with joy” when her pressure cooker blew up. Her practical husband calmly picked up the Sears Roebuck catalogue and ordered her another. From Tim Jones' (a self-described minivan-driving soccer dad) blog "View from the Bleachers." What she means is that despite the changes in season, we can be cold here, all year round. I write this, wrapped in a blanket, looking out the window as sunlight strobes on and off my plum trees, which are already past their bloom. It hailed last week, and all this week the weather has ping-ponged from lion-like to lamb-like and back. So it’s lucky that we have seasonal bounty to warm and sustain us and especially lucky that we can leave the growing to the trusted professionals, yet still eat like kings and even can at our discretion. 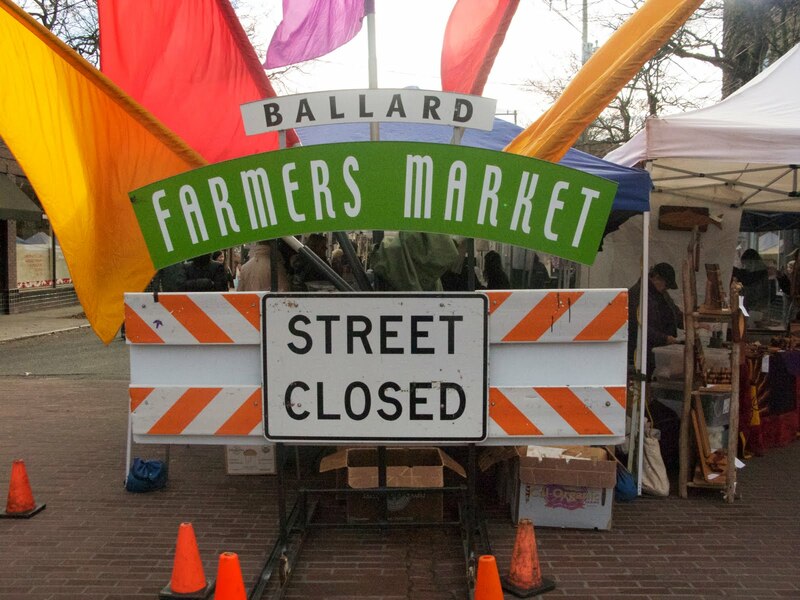 Like most Sundays, this past Sunday I walked to the Ballard Farmers Market to see what was new for spring. I emerged with beets, radishes, stinging nettles, jerusalem artichokes and freshly caught salmon and had fun all week cooking lighter spring fare. David Lebovitz was generous enough to share on Facebook that Amazon was offering a special promotion of Dorie Greenspan cookbooks. I was among the lucky who nabbed Around My French Table and Baking: From my home to yours for $10, including shipping. We ate Dorie’s salmon with tapenade and Jerusalem artichokes roasted with garlic, and Three Beet Caviar with Endive and Goat Cheese and Nettle Frittata with Garlic and Ricotta (the latter two recipes from Deborah Madison’s inspirational book “Local Flavors: Cooking and Eating from America’s Farmers’ Markets” Urged by Dorie Greenspan, I whipped up a batch of creme fraiche, and while I was at it, replenished my supply of preserved lemons. 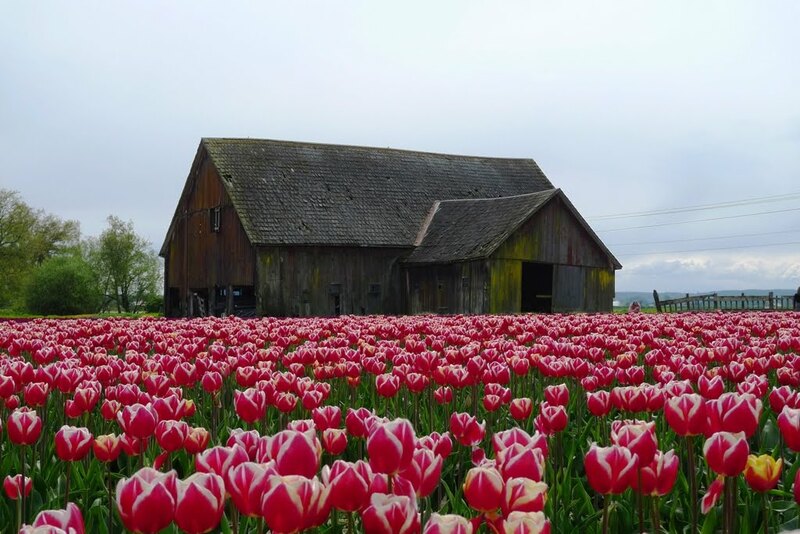 A tulip field in the nearby Skagit Valley. Though Jeff is resigned to the fact that you won’t find me working in our garden (I’ve finally had to stop bragging about the 50 bulbs I planted on Daughter #1’s first day of pre-school 11 years ago), you will find me happily in the kitchen. 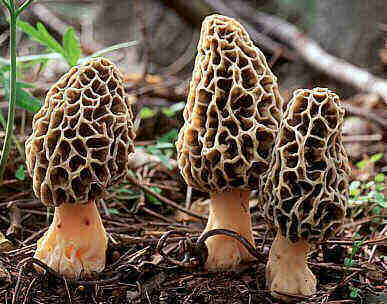 Soon the sun will become a more familiar presence and our markets will abound with fava beans (the fresh ones are labor intensive, but great in so many ways, especially with pecorino cheese) and pea vines and fiddlehead ferns and shoots of all sorts and morels, glorious morels. I first learned about Betty MacDonald when my kids were little and we read the hilarious Mrs. Piggle Wiggle books, in which kids were cured of their bad habits by this magical woman who lived in an upside-down house (my favorite: the kids who refused to take a bath and was allowed to get so dirty that her parents were able to plant radishes on her). When daughter #1 started kindergarten and I was perhaps a little weepy, I decided that, like the mothers MacDonald wrote about, I would greet her after school with a freshly baked cake. It didn’t last long, but over the years I’ve tried various recipes for French yogurt cake, which along with tartines, is a popular after school snack a la francaise. Dorie Greenspan has a recipe in her baking book, which I made this week, and Molly Wizenberg has a nice, lemony recipe which first appeared on her blog Orangette and can also be found in her book A Homemade Life. I’m including it here. 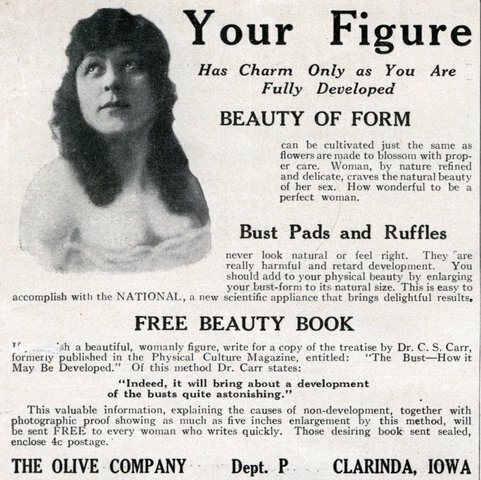 It’s a nice pick-me-up when the sun goes behind the clouds or you are agonizing over the gradual and not always painless emergence of your bust, or for that matter, the inevitable drooping of said bust at mid-life. If you are interested in having a modern version of the Betty MacDonald experience, check out my friend Joshua MacNichol’s Urban Farm Handbook: City Slicker Resources for Growing, Raising, Sourcing, Trading and Preparing What You Eat. This entry was posted in Cooking, Food, Puberty and tagged Around My French Table: More Than 300 Recipes from My Home to Yours, Betty MacDonald, cooking, Dorie Greenspan, Dungeness Crab, farmers markets, Ma and Pa Kettle, Seattle by Slice of Mid-Life. Bookmark the permalink. I’m back East and this just made me homesick. 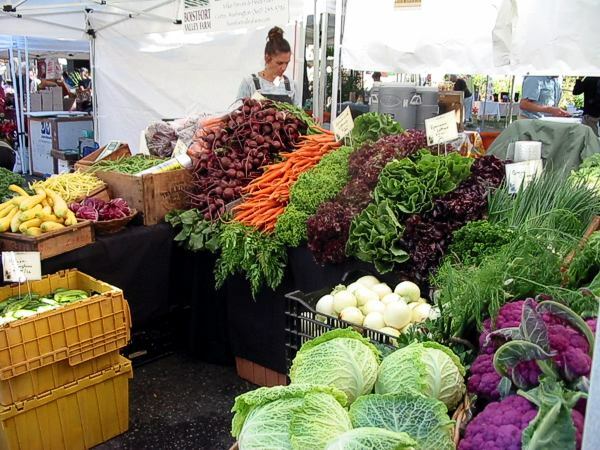 I’ll be back next weekend and have already decided which Farmers Markets I’ll be dropping by. 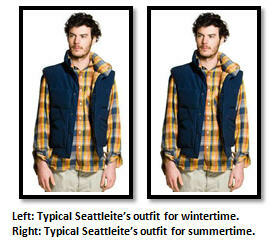 While everyone here, (NH), are donning winter coats and scarves I’m perfectly comfortable in my very Seattle clothing choices. I really enjoy your blog! Thanks for the nice compliment! Hurry up and return to Seattle. The sun has been shining and it’s been at or near 70 degrees for the past few days. First time in a long time! Betty MacDonald fan club got fans in 40 countries.